The fishermen didn't feel the cold stare of the dark brown eyes peering at them through the thick alders near the river bank where they fished illegally. They were not accustomed to being prey and would have no reason to believe they were. It seems possible the half-consumed bottle of whiskey standing between them on the river bank may have dulled their senses. It may also have influenced their choice to come to the king salmon spawning hole in the middle of the night, armed with weighted treble hooks with which to snag the big fish as they attempted procreation. Or perhaps it was that there were few people on the Kenai River in those days, and even if there was, who cared? The bottle no doubt influenced the choices they would make when the alders burst open, and the grizzled fella who appeared from nowhere announced they had been caught. The fishermen, in an instant, decided a ticket was not part of the otherwise pleasant outdoor experience they were enjoying. They grabbed the man and pitched him into the river, laughing like hyenas. 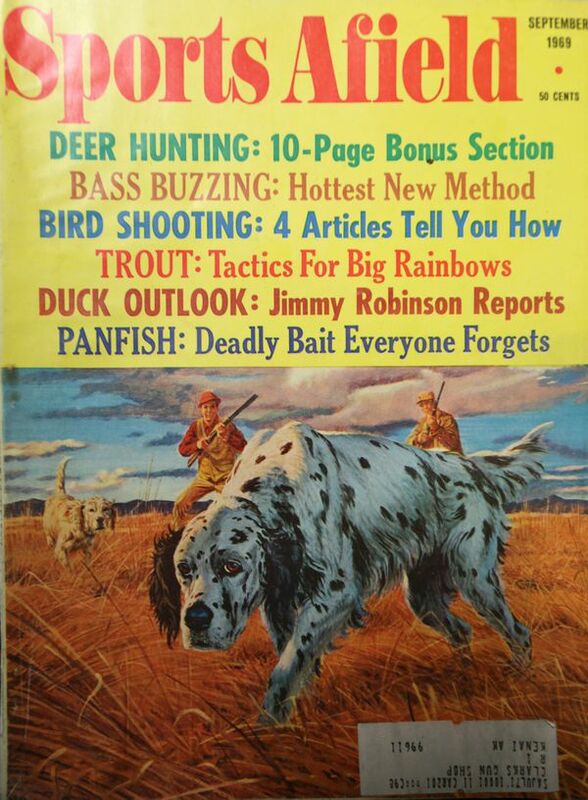 While on a hunting trip in Fairbanks earlier this year, Christine and I stopped at an antique store and found a bin of old outdoor magazines for sale. We picked out a few, including a 1969 publication of Sports Afield that, when we got home, I noticed still had a mailing label on the cover: "Clark's Gun Shop" in Kenai. In an instant, my mind filled with memories of Clark Girten, a local legend I met in my youth by virtue of circumstance. I first heard of him at the local barber shop. In those days the conversation in small-town barber shops was always about hunting or fishing. That particular fall a fellow told about a fly-in moose hunt to a lake north of the Swanson River, on the Kenai National Wildlife Refuge, from where he had just returned. "Did you see Clark?" the barber asked. The fellow looked around, as if Clark might be hiding in a potted plant or hanging from the ceiling, before he lowered his voice and said, "No, but I was watching for him." The barber chuckled and told the hunter it wouldn't matter how hard he looked, he would never see Clark until it was too late. The barber told a story of two other hunters who had flown into a lake some 25 miles from the nearest road. Feeling secure in their solitude, they poached a cow moose and had gotten the meat packed to the lake when Clark popped out of the brush. There wasn't another lake to land on anywhere near, and the stunned hunters asked Clark, "How the hell did you get here?" During the barber-shop conversation, I learned that Clark worked a seasonal aide position with Fish & Game and that he had a gun shop in North Kenai, where he did some gunsmithing and custom reloading during the off-season. The small sign that said "Clark's Gun Shop" was tucked into the brush near his driveway, as if he didn't want anyone to see it, was a long pistol shot from where we lived. I wanted to meet this character, but I was a kid and didn't have a reason to go to his shop. One winter day I was reloading and didn't put enough lube on a cartridge case, and the case stuck in the die. I didn't have a stuck-case remover, but I knew who would. The small camp trailer didn't look like a gun shop, but there was a light on inside and a small cardboard sign on the door that said it was. It was one of those places that may be a business but you didn't want to walk into unannounced — and besides, the rumor was that Clark might shoot first and ask questions later. "Hello, anyone there?" I hollered from a few yards back from the door. A few moments later, the door swung open revealing a man of average stature, with the rugged look of someone who had spent most of his life working hard outdoors and a smile that suggested dentistry was not a priority. Stammering, I brought the die out of my pocket and explained my problem. "Well, we ain't going to fix it out here, come on in," he said. "All these guns are loaded," he said, as we walked into the trailer. "What good is a gun that ain't loaded?" It seemed every square inch of the trailer was occupied by guns, bullets, gun-powder, cases of primers, and loading dies. A bench at the front held several reloading presses, powder measures and scales. I returned to the gun shop as often as I could until we moved and I wasn't able to walk over anymore. I got to know Clark pretty well, and I found a man who was reclusive by nature but seemed to enjoy company in small doses. There was a fundamental decency about him that the surface didn't always reveal. When outdoors writer Patrick McManus introduced us to Rancid Crabtree, the old reprobate poacher and woodsman, and Sneed, the game warden whose omnipresence kept violators in check, I thought of Clark, who personified both of those characters. Like Crabtree, he lived a simple life, he appeared as an unassuming fellow who might not bathe regularly, but he knew most anything you might ask about the outdoors. Rumor had it that he was a poacher before he worked for Fish & Game, and that was why he was so good at catching poachers. Like Sneed, he would pop out of the brush in the most unlikely places, and as the stories (true or not) of his appearances spread, it seemed like he had cloned himself and could be anywhere at any time. For as long as Clark worked in the Kenai area, there was a palpable fear of his sudden appearances, and there is little doubt his reputation alone stopped a lot of poaching. 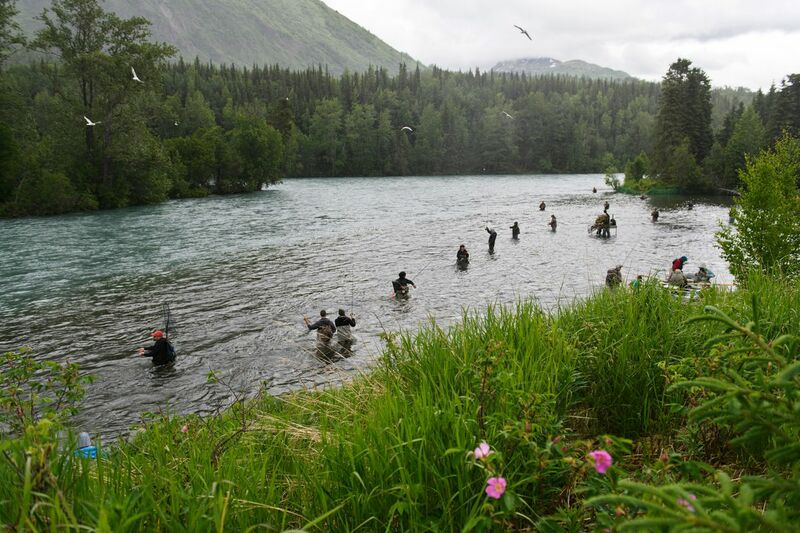 The laughter of the fishermen who had thrown Clark into the Kenai River stopped rather abruptly. It seems when you throw someone in the river and the first thing that returns to the surface is the business end of a Smith & Wesson M29, .44 magnum revolver, there isn't much to laugh about. And that, folks, is how legends are made. Steve Meyer of Soldotna is a lifelong Alaskan and an avid shooter. Contact Steve at oldduckhunter@outlook.com.